A few years have passed in The Walking Dead since Rick Grimes disappeared while halting a group of walkers. 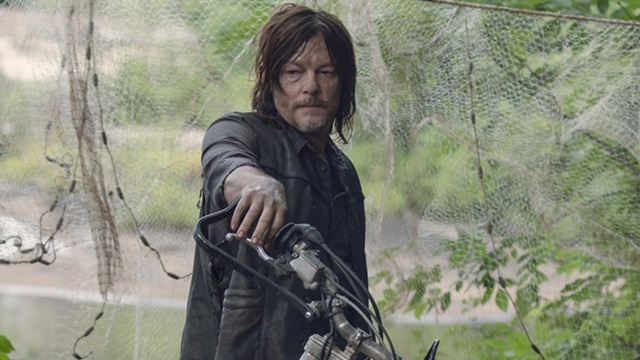 However, his good friend, Daryl Dixon, still doesn’t have closure, and in The Walking Dead‘s flashback episode, he was still on the hunt for Rick’s body with Danai Gurira’s Michonne. Via CBR, Norman Reedus spoke on Sunday’s Talking Dead saying that the disappearance of Andrew Lincoln’s Rick is still “hard to swallow” for his character. Following Lincoln’s character departure, Reedus and Melissa McBride are the only remaining cast members from the first season. Lincoln will reprise his role as Rick Grimes in a trilogy of spinoff films. However, it seems pretty unlikely that Rick and Daryl will meet again in the series. Additionally, Reedus is about to lose another major co-star, because Gurira will make her exit in Season 10. The Walking Dead airs Sundays at 9 p.m. ET/PT on AMC. Share your thoughts in the comments section below.